Work has been keeping me pretty occupied recently so I have not been able to get anywhere for the blog so I decided to do the first in a "Best of" series. I will add to this series from time to time with a different theme or an update to an existing theme. 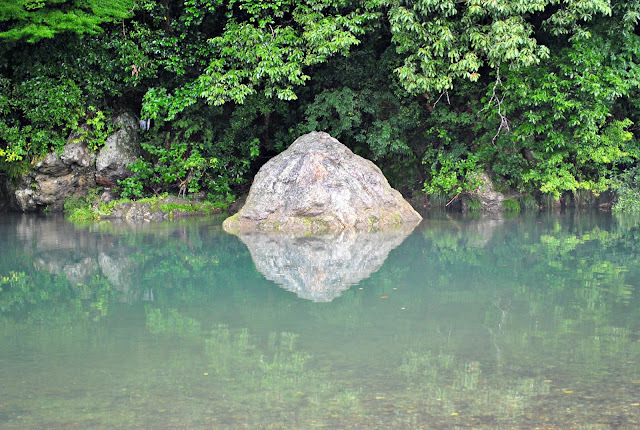 The first in the "best of" series will be about Japanese nature. When I first came to Japan, 16 years ago, I had the impression that Japan was a concrete jungle. All skyscrapers and neon, shiny, plastic and new. Maybe most people who come to Japan are under the same impression and there is a lot of that. But scratch beneath the surface and there is a whole lot more waiting to be found. Get away from the cities and you will be surprised. There is a whole lot of beautiful nature here and living in these big cities makes the Japanese appreciate all of the beautiful nature around them. They cherish it and protect it, wanting to maintain and preserve it for generations to come. Following are just a few photos I have taken to highlight some of the naturally beautiful places that I have been to. Let's start with Japan's 2 favourite seasons. Spring time means only one thing in Japan. Cherry blossom time! Time to get out and enjoy the flower that has come to symbolise the country more than any other. One of the best things about Cherry blossom time is that you don't have to get out of the city to see it! 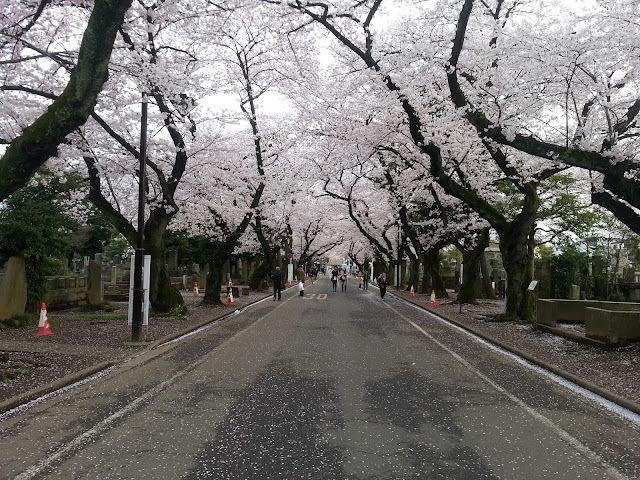 The following couple of photos were taken in Yanaka cemetery, in the middle of Tokyo. This next one was taken near the Imperial Palace in central Tokyo. 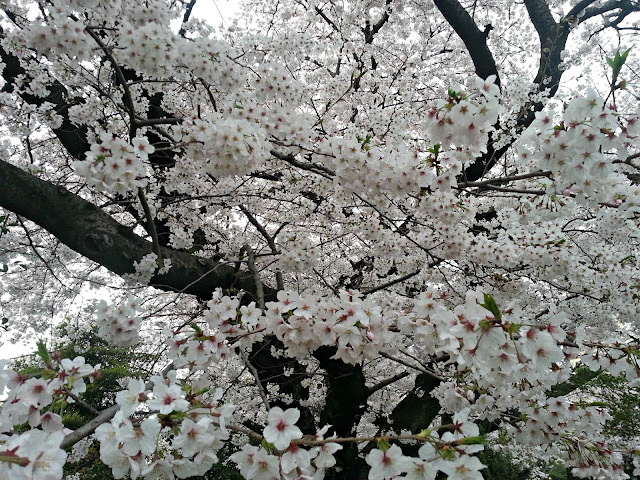 Cherry blossom season is also party time. Troops of office workers march out of offices and into nearby parks setting down picnic mats and eating and drinking to their hearts content, enjoying the beautiful cherry blossoms. 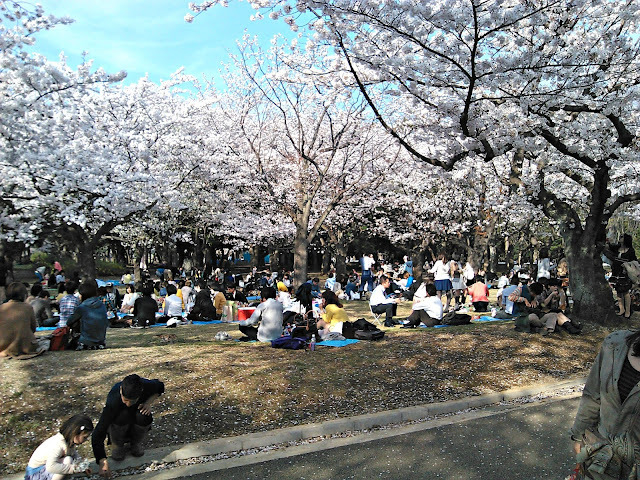 Now in a city as big as Tokyo, that means a lot of people as this photo from Yoyogi Park shows. But the crowds are never an issue as everyone is simply out enjoying the season just like the folk on the picnic mat next to them. It is a fun, festive atmosphere. 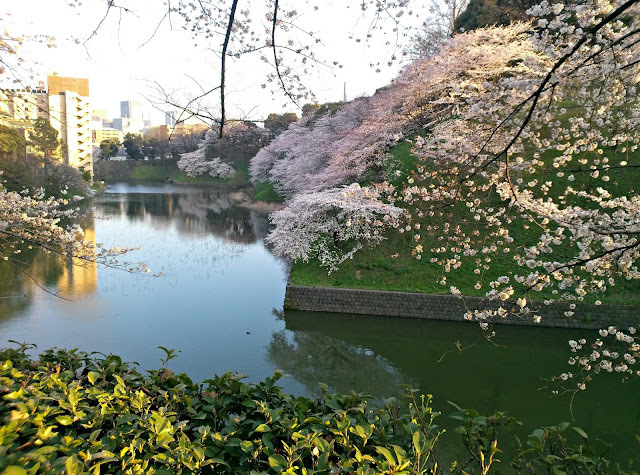 You can find some full blog posts about cherry blossom season here, here and here. 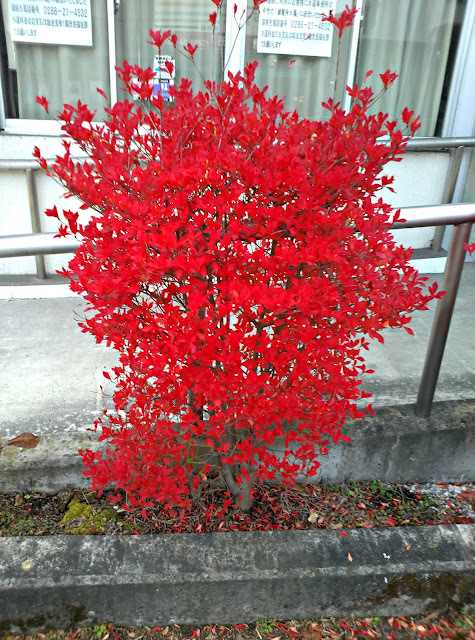 The other season that is celebrated is autumn. 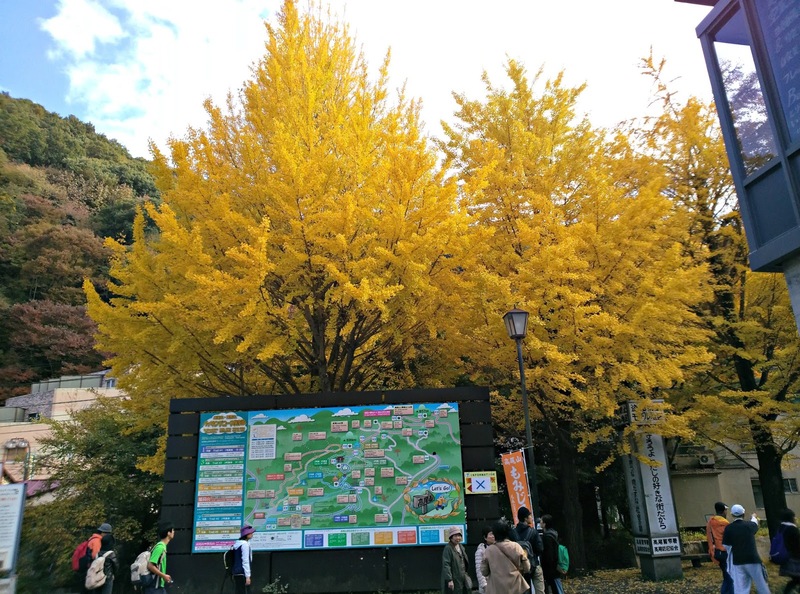 With autumn comes autumn leaves as everywhere in Japan is turned into a sea of reds, oranges and yellows! 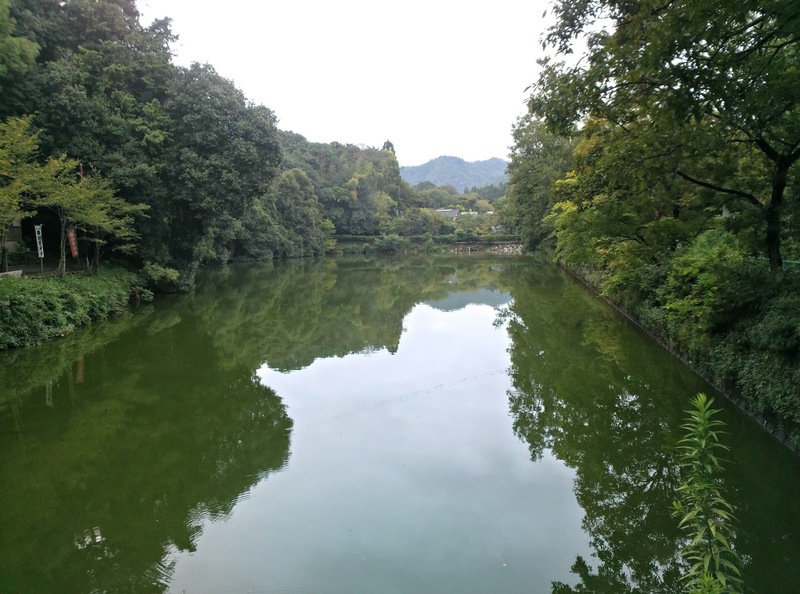 This first photo is at the foot of Mount Takao, within the limits of Tokyo. You can read more about Mount Takao here. 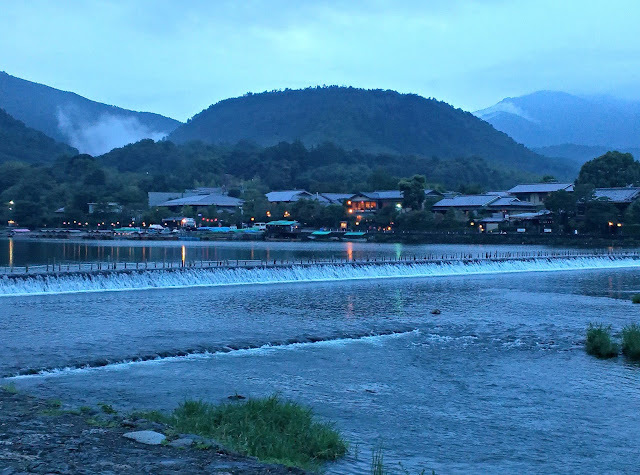 The next 2 were taken at Nikko a beautiful town less than 2 hours by train from Ueno in the north of Tokyo. Nikko is home to an area of temples and Shrines that is World heritage listed. To check out more about Nikko, check out some past blog posts here, here and here. 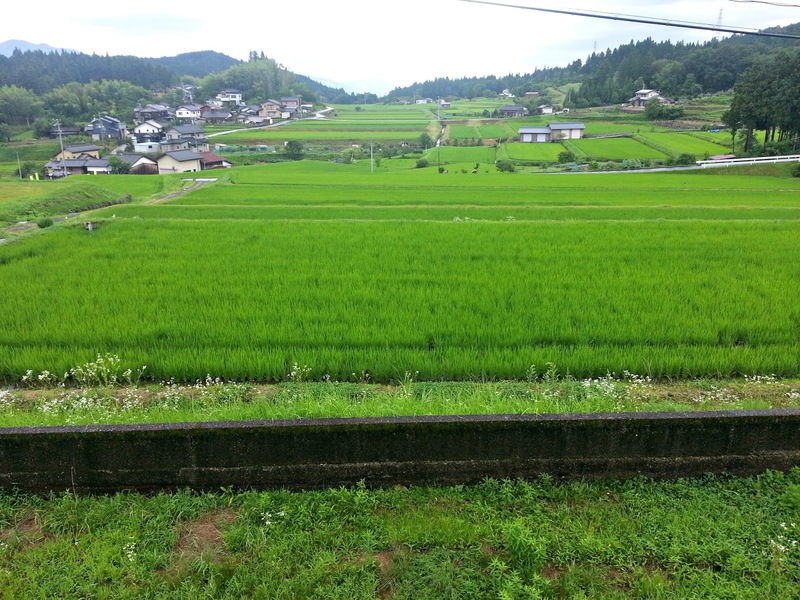 Nearby Tsumago is the quaint old town of Magome and on the outskirts of Magome I was greeted with this view. Stunning! 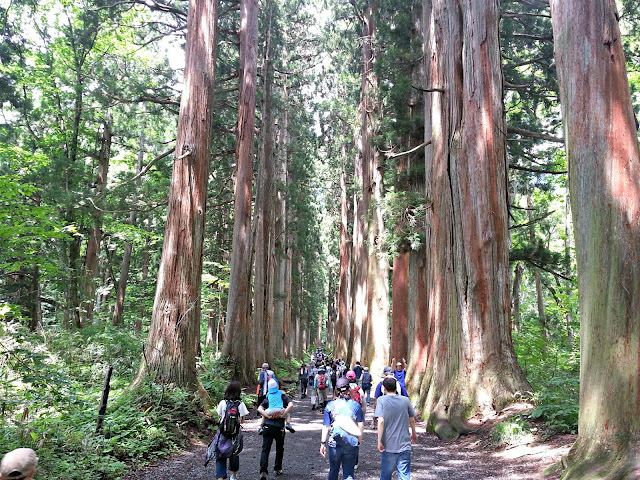 This trip was made in July, just after rainy season, so the greens were so deep and vivid! You can read some more about and enjoy some more pictures of these 2 stunning towns here. 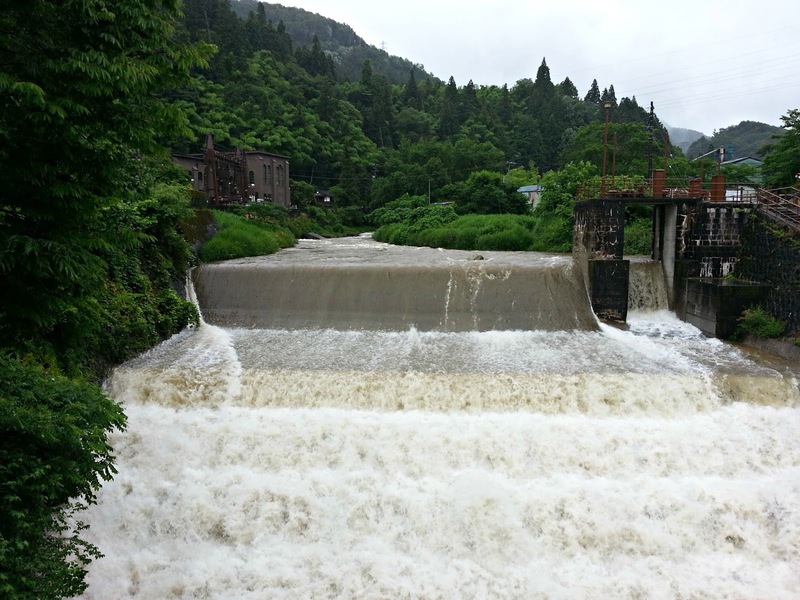 A little further north into Nagano is Togakushi, in the mountains outside of Nagano city. I went here on the same trip as Tsumago and Magome. 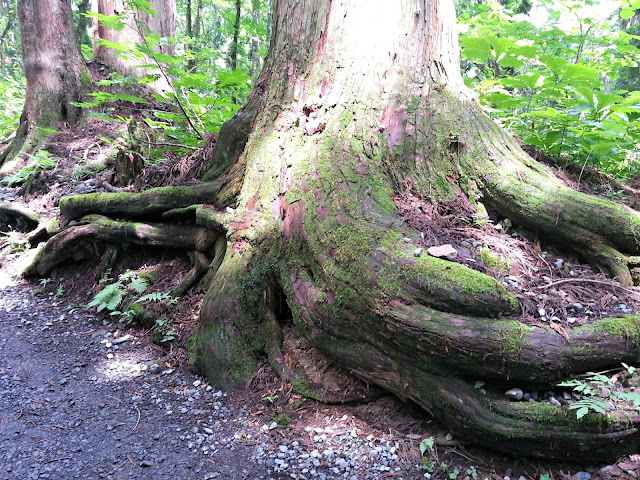 These next couple of photos are of some huge old cedar trees in the area. 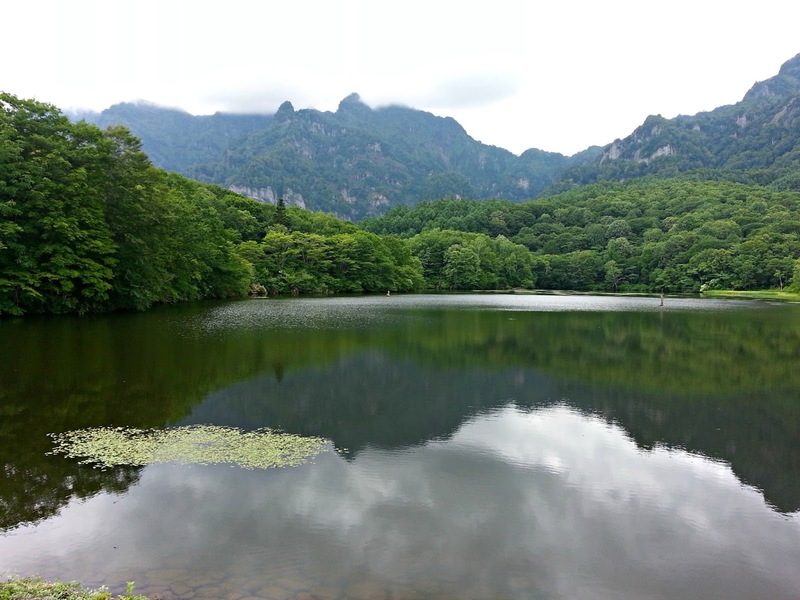 Not too far away from this area was a beautiful lake called Kagami ike, or mirror lake. I am told that early on a still morning, the view here is spectacular! Unfortunately, I am not such a morning person...... Anyway, you can read some more about Togakushi here. 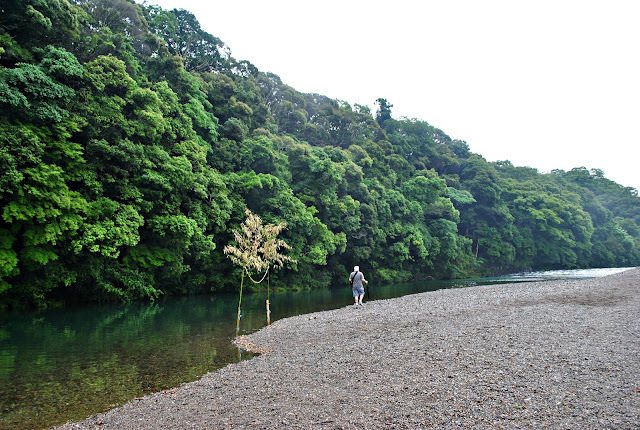 Now, not all of this stunning nature is found outside of Tokyo. 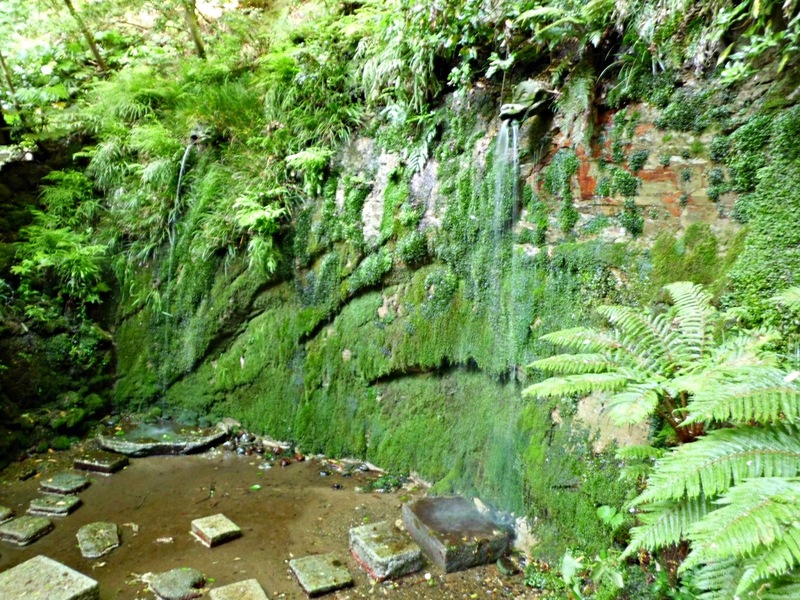 The big city has it's fair share of hidden gems too. 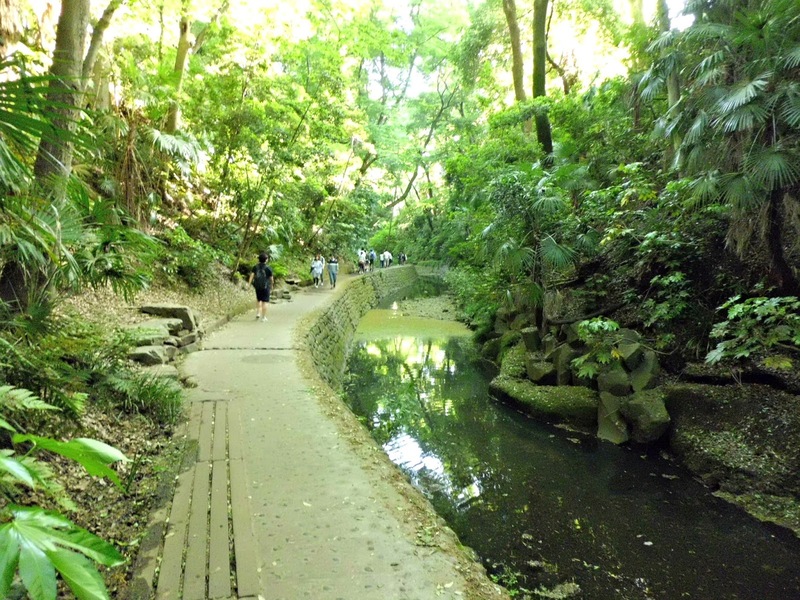 One such place is Todoroki valley, a hidden oasis of green in the sleepy suburbs of Setagaya. On a hot summers day, a visit to Todoroki Valley is just the cure! Check more out about Todoroki Valley here. Just a couple of months ago I had the pleasure of visiting Ise in Mie prefucture. Ise is home to one of the most important Shinto shrines in Japan. It also has a stunning river running through the town. 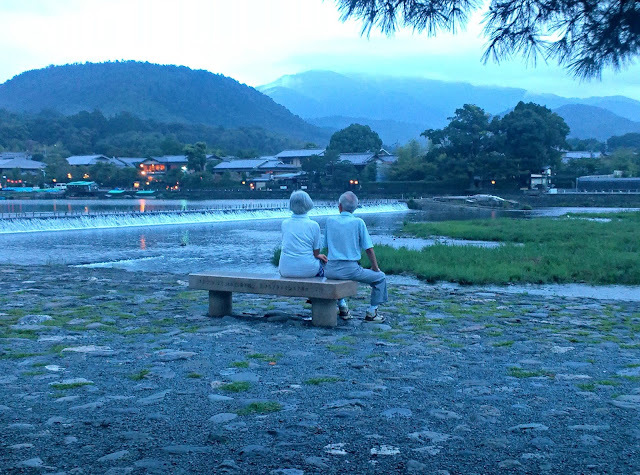 Please feel free to read more about Ise and it's beautiful shrine here, here, and here. 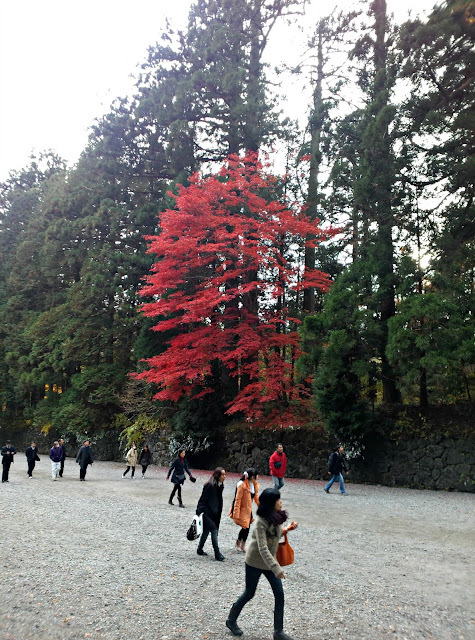 The final photos I would like to share with you come from an area just outside the beautiful old city of Kyoto. The area is called Arashiyama and is famous for its natural beauty, especially in autumn when the area becomes a patchwork of vivid autumn colours. It is, however, a beautiful place to visit any time of year. 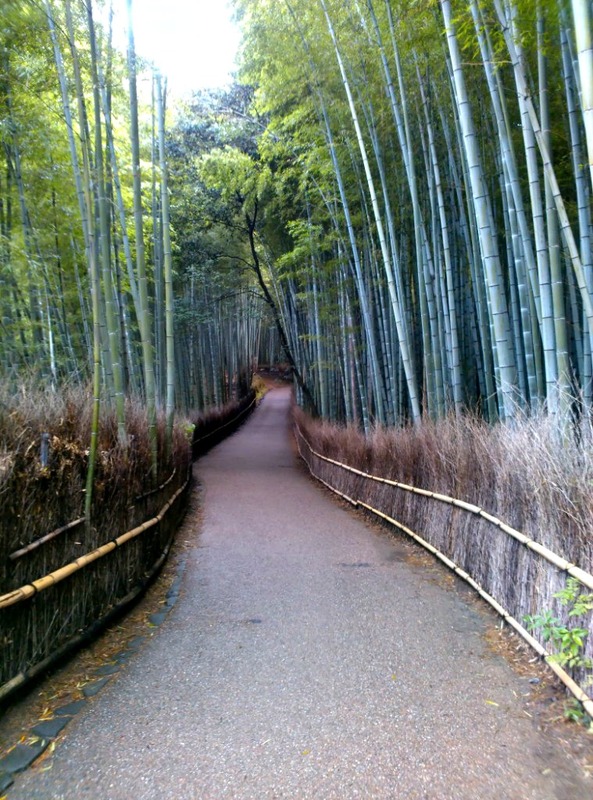 One of the other things Arashiyama is famous for is its bamboo walkway. I was lucky enough to visit the area a day after a typhoon had stormed through the area (I swear I don't plan these things!) so it was not at all busy. Continuing on past the end of the bamboo walkway I found this little hidden gem. This place was simply stunning and nearby was a temple or shrine as I could hear the bell sounding every 30 seconds or so. I sat here for a good 5 minutes just taking in as much of the tranquillity as I could. What a find this place was! 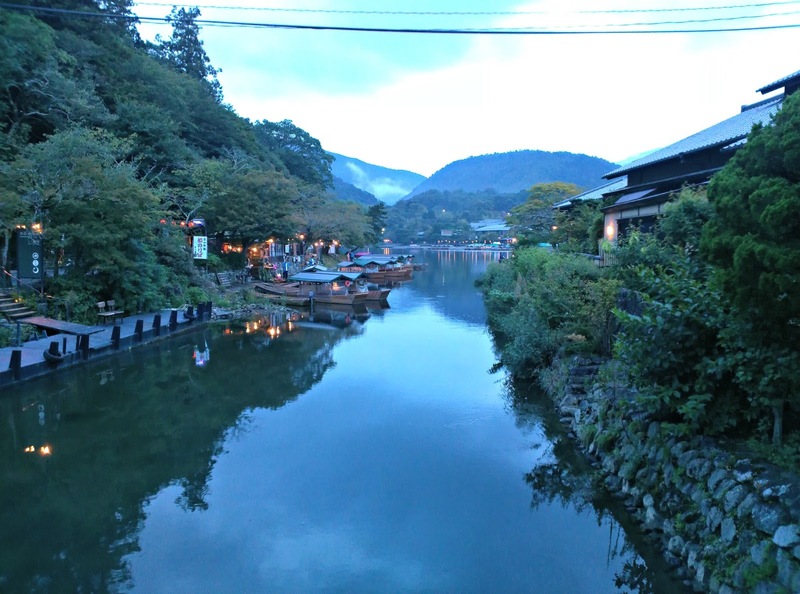 Also in the Arashiyama area is a river called Katsura river. I reached the other side of the river at around dusk and it proved for some wonderful photos. Here are just a couple of them. I did manage to get another photo while I was here and this is one of the most beautiful photos I have taken, although, quite a different kind of beautiful! If you would like to read more about Arashiyama and Kyoto, you can find their blog posts here and here. Well, I think that will do it for this post. I hope you enjoyed that photographic tour. As I said at the start of the post, there will be more posts with the "Best of" theme so please keep an eye out for them. Thanks again for reading. Please leave a comment and share the blog with someone you know who will enjoy it.